Cherry Laurel ‘Rotundifolia’ or prunus laurocerasus ‘Rotundifolia’ makes a superb candidate for growing evergreen privacy hedges. Of all cultivars available, ‘Rotundifolia’ is the most popular. Due to its large, bright green leaves and fast growth rate (at the high end of the 30-60cm range) this commonly planted hedging variety is able to produce a dense, appealing hedge in very little time. 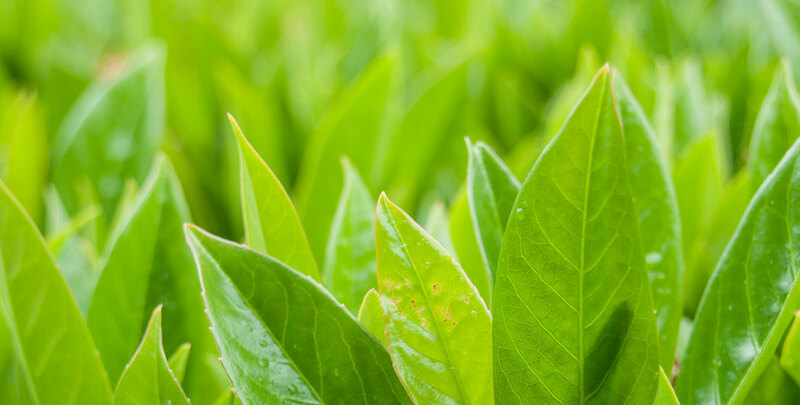 Prunus laurocerasus 'Rotundifolia' can be distinguished from its fellow laurocerasus cultivars by its more evenly rounded leaves and bushier growth habit. Cherry laurel ‘Rotundifolia’ is a vigorous, versatile hedging species suitable for a wide range of positions and soil types. Because of its fast growth rate, cherry laurel ‘Rotundifolia’ is an excellent choice if you want to grow an evergreen screening hedge in your garden that will be tall and dense enough within only a few years. The density of a cherry laurel ‘Rotundifolia’ hedge is nothing to worry about, as its abundance of large, leathery leaves will protect your garden from anyone trying to sneak a peek inside. And even more notably, these leaves are simply beautiful. When people think of evergreen hedges, they often think of a neatly clipped conifer hedge, but cherry laurel ‘Rotundifolia’, along with all the other cherry laurel cultivars described on our website, shows that it is possible to combine privacy and ornamental value in one aesthetically pleasing hedge. This robust, fairly hardy shrub will grow in full sun to deep shade in any well-drained (not waterlogged), acidic to mildly chalky soil. Very alkaline (chalky) soils and exposed conditions must be avoided. In both cases Portuguese laurel (prunus lusitanica) would be a better alternative. Cherry laurels are a great option for polluted, poor or otherwise less favourable soils. This fast growing shrub needs to be trimmed annually to keep it in check and lends itself for both formal and more naturally shaped hedges. No special technique is required for clipping a cherry laurel ‘Rotundifolia’. White flowers in May (attractive to bees) are followed by toxic berries (attractive to birds) that mature from red to black. This fairly large bush is best suited to medium or large gardens. ‘Rotundifolia’ is somewhat prone to disease. Should disease be a concern, the more resistant cherry laurel ‘Novita’ would make an excellent choice. We strongly recommend using garden shears or other smaller pruning equipment for trimming a cherry laurel ‘Rotundifolia’ hedge. Since the leaves of this evergreen hedge plant are so elegant, you do not want to damage them during your pruning sessions, which should take place in the spring and/or autumn. It is possible to rejuvenate your cherry laurel ‘Rotundifolia’ hedge by cutting it back to about 40 centimetres above the ground. Given its relatively rapid growth rate – ivy is the only evergreen non-conifer that grows faster – it will not take long until your ‘Rotundifolia’ will grow tall enough to provide year-round screening. If you live in a particularly exposed area, such as a coastal town, the slower growing spotted laurel is an equally decorative alternative.